Art is in the air in St. Pete. The Sunscreen Film Festival, which has brought the magic of cinema to St. Pete since 2006, announced its official film, workshop and panel lineup for this April. Celebrities such as Dylan McDermott (American Horror Story, Perks of Being a Wallflower, The Practice) and Daphne Zuniga (Spaceballs, Melrose Place, One Tree Hill) will be in attendance promoting their own passion projects while applauding the work of cinema’s rising stars. Screening locations include AMC Sundial, The Palladium and American Stage Theatre with panels and workshops taking place at the Chihuly Collection and Museum of Fine Arts. For budding filmmakers in St. Pete, this festival provides a unique opportunity to network with, and learn from industry professionals. SFF also offers aspiring directors, writers and producers the chance witness the process of making a movie, from spec to final cut. The multi-talented actor/director Dylan McDermott is a master of drama, comedy, camp and the many forms that satire takes in-between. His newest project finds the star behind the camera. His web series Sugar, which filmed in the Tampa Bay area, premieres at The Palladium Theater on Thursday, April 27 at 4:30pm. The series stars Zoë Lillian (20th Century Woman), Steve Heinz (Miss Peregrine’s Home for Peculiar Children) and Dan Bright (Sunshine State, Confirmation). Synopsis: Sugar, a teenage runaway, becomes lured into the world of human trafficking. The strength that enabled her to leave her past behind is tested as she finds herself homeless and alone in her dangerous new world. The April 27 screening takes place at The Palladium Theater. The Film Eat. Speak. St. Pete uses food as a vehicle to engage broader discussions about culture, community and progress. The group behind the project were able to sit down with the likes of Rick Kriseman, Elihu and Carolyn Brayboy, Bob Devin Jones, Carla Bristol, JerJuan Green, Karl Nurse and Lisa Wheeler-Bowman. The project debuts Friday, April 28 at 12:45pm at AMC Sundial downtown. 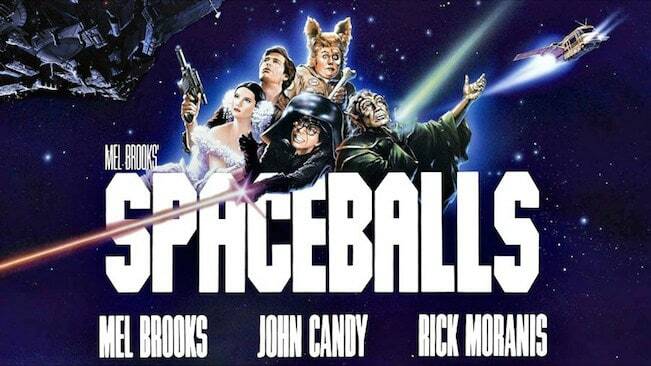 Mel Brooks’ Star Wars parody remains as popular and iconic as the source material. A fine mix of camp, genre commentary and societal satire ground this intergalactic film. Rick Moranis’ performance as the confused and flustered Dark Helmet, and Bill Pullman’s performance as the gunslinging Lone Starr serve as the perfect foils for one another. Daphne Zuniga’s assured and strong performance as Princess Vespa and John Candy’s lovable transformation into Barf make this a feel good film for the whole family. 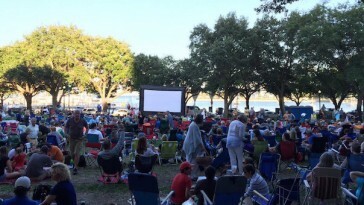 This free outdoor screening takes place on Friday, April 28 at 8pm in North Straub Park, 400 Bay Shore Drive Northeast. Sunscreen Film Festival and Indyoh Inc join forces to launch the 2nd annual film market as a part of the festival. The market offers budding filmmakers the chance to woo distributors and sales agents. Those interested are invited to set up shop at one of 18 exclusive tables where they can display any promotional materials/teaser clips/full trailers for representatives looking to bring fresh projects to their company. These markets deliver the best return on your marketing investment. The display table allows your art to remain in the periphery of serious buyers through the SFF. In the past, reps from Sony Pictures, Lionsgate, Indican Pictures and Breaking Glass Pictures have attended the market. The Indyoh Expo Film Market takes place at American Stage Theatre April 28 and 29, from 10am-7pm both days. Those of us who grew up with SNES and Sega have cultivated a pure love of pixelated worlds. The New 8-Bit Heroes film, directed by Joe Granato and produced by Austin McKinley, follows a group of modern creatives on their quest to create a brand new cartridge-based game for the 30 year old NES. The film promises to introduce audiences to the hidden community of artists that devote years of their lives to developing games for obsolete systems with crippling technological limitations. The New 8-Bit Heroes mines the depths of devotion that classic video games command and introduces us to the people that harbor this undying love. Be a part of the world premiere on April 29 at AMC Sundial. Alec Baldwin, Demi Moore and Dylan McDermott are all singularly gifted actors that effortlessly draw audiences into their work. Their latest project, Blind, is infused with the dark and penetrating wit we’ve come to expect from the talents. Director Michael Mailer, producer Jennifer Gelfer and actor Dylan McDermott will all be in attendance for the screening of this film. Synopsis: A novelist blinded in a car crash that killed his wife rediscovers his passion for both life and writing when he embarks on an affair with the neglected wife of an indicted businessman. The screening takes place on April 27 at The Palladium Theater. Visit Sunscreen Film Festival’s website, Facebook Page and Twitter to learn more. Click HERE for a full schedule of screenings, workshops and panels happening this year.